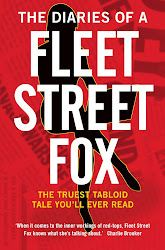 fleet street fox: What's the point of going to space? ... asks Simon Jenkins of the Guardian. Who won't bother to read about all the things space travel has given humanity, and which you can learn about in today's Daily Mirror column here. Waste of money, indeed. Pchaw.